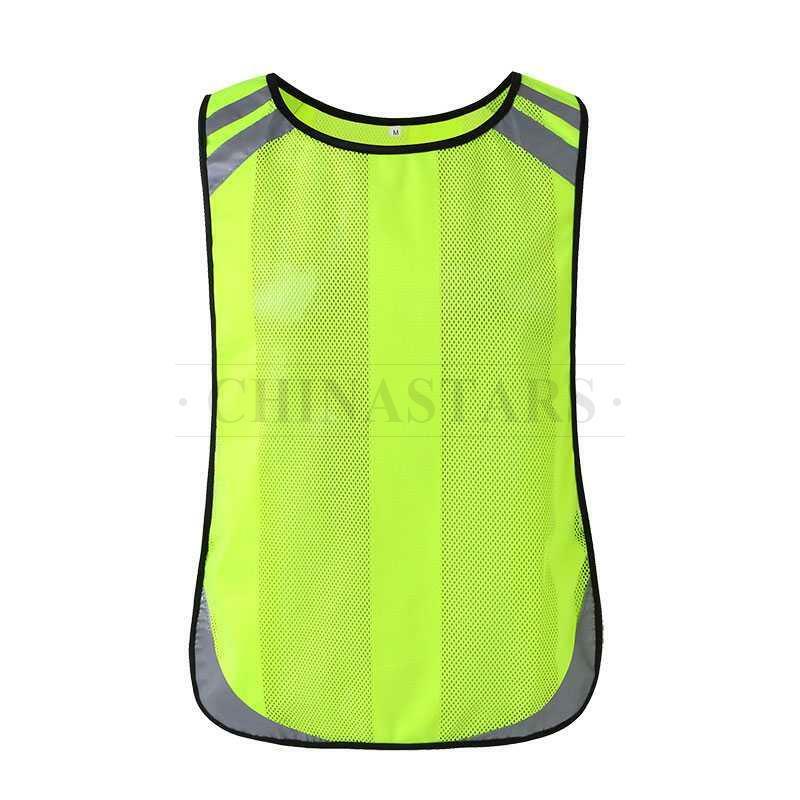 ully fluorescent yellow with silver reflective tapes around shoulders and waists increasingly improve your visibility, keeps you safe in daylight and lights up the night. 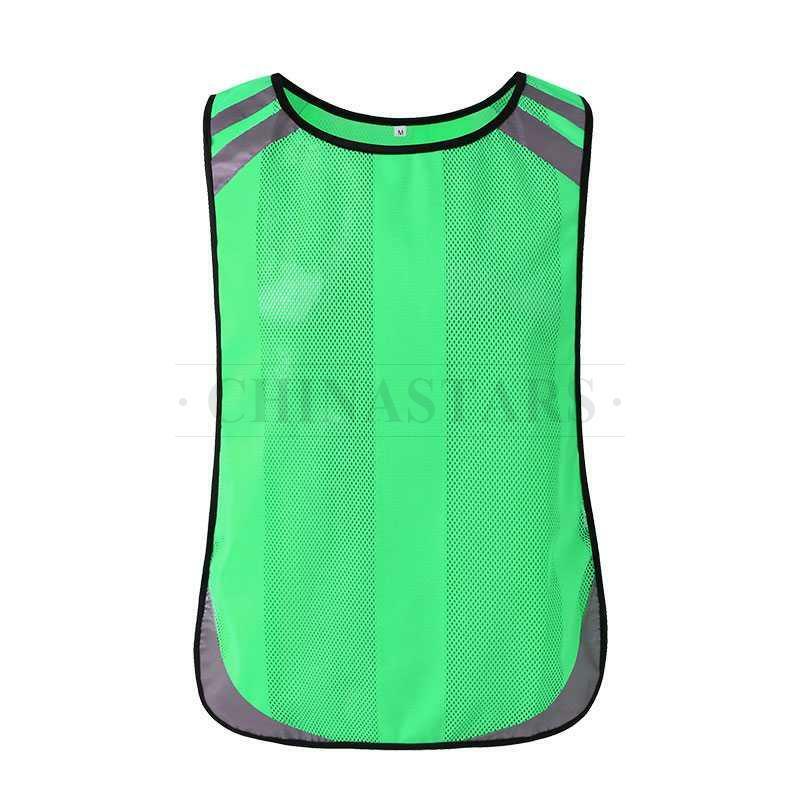 Tricot and mesh fabric provides lightweight and good breathability ,especially when you are running outdoors. 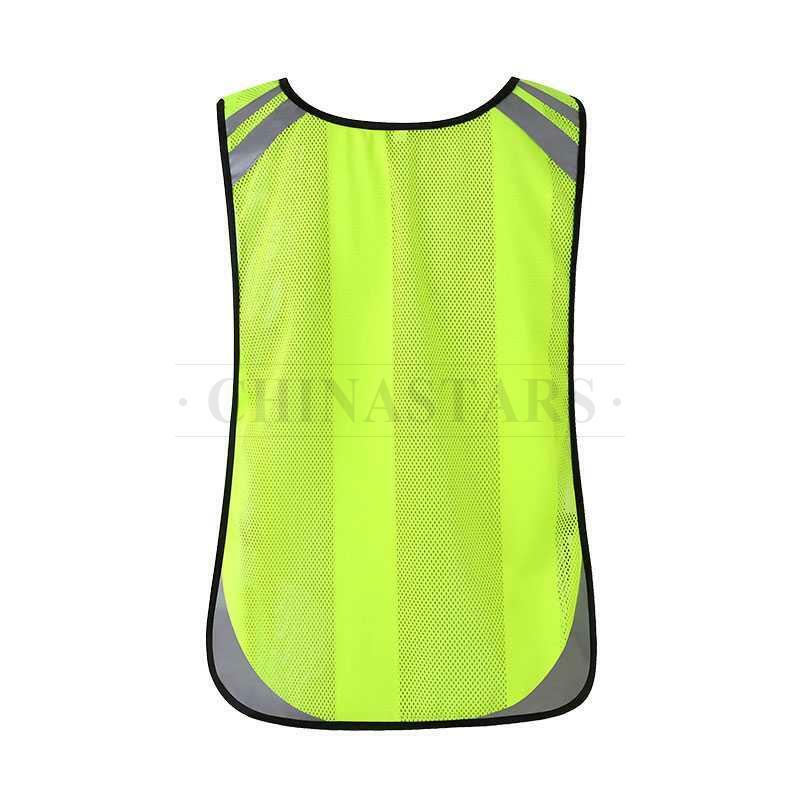 This reflective vest only has one size, but two elastics straps on waist are able to partly adjust this vest, and help to suit any body size or shape. 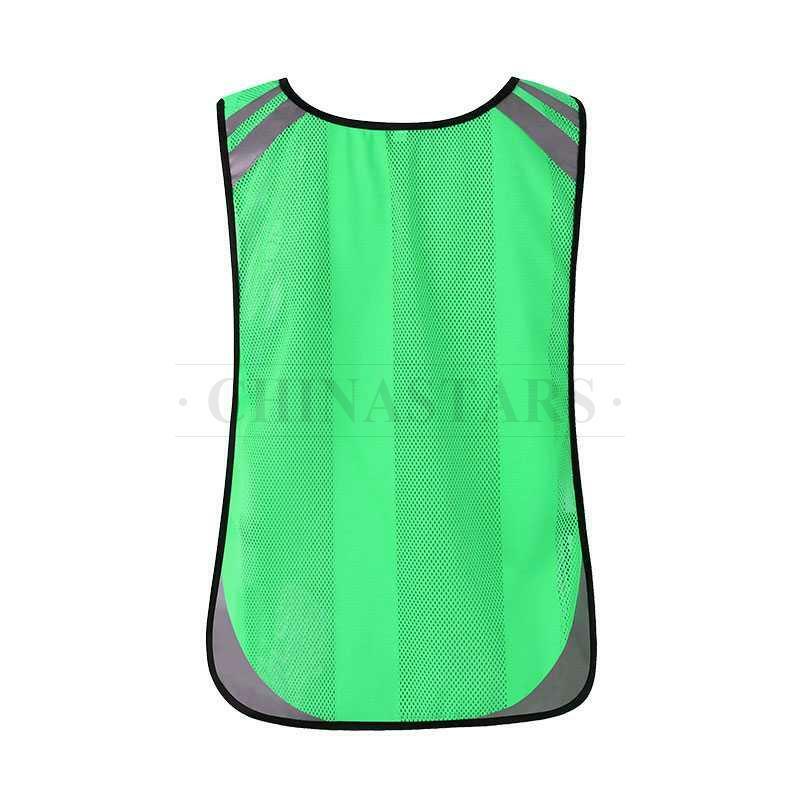 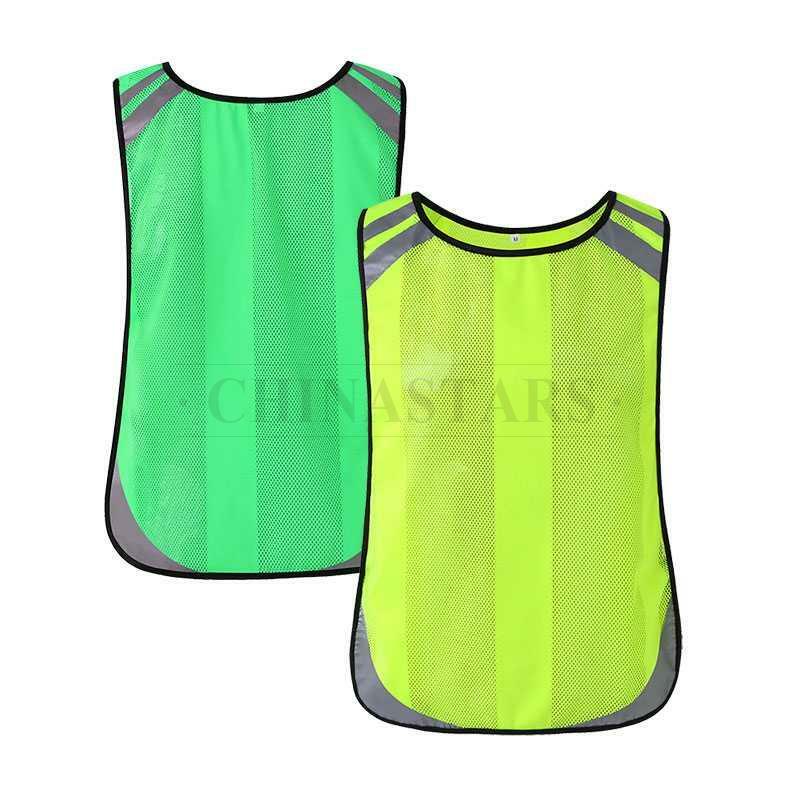 Used for the reflective running vest, cycling, bike safety harness, motorcycle, hiking, work, etc.